These delightful Santa characters will brighten up even the darkest days of winter. Made by Floral Silk, these lifelike Father Christmas Decorations look adorable anywhere around the home offering a warm Christmas welcome. And if you hurry – you can get nearly 50% OFF while stocks last with our extra 10% Black Friday Discount – just quote ECODE10 at the checkout or when you call. Take a look at our full Christmas Collection here for 10% OFF some already discounted prices. Pictured here with Pearl Decoration Garland and LED Star Fairylights (not included). 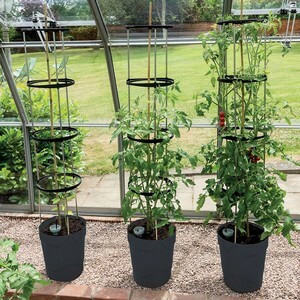 Your plants may well be in need of some additional support, and here at Harrod Horticultural, we’ve designed and produced four styles of Vintage Steel Wire Plant Supports. Available in a choice of 3 distinctive finishes, they all carry a 5 YEAR STRUCTURAL GUARANTEE*. Watch out for our Extra Value Sets of 3available on some designs where you can SAVE 10%! Harrod Horticultural, 1-3 Pinbush Road, Lowestoft, Suffolk, England, NR33 7NL. Registered in England no. 875029. VAT registered no. 104 8573 75. Theres Always A Corner Of The Garden That You Cant Quite Squeeze A Normal Square Or Rectangular Vegetable Growing Raised Bed Into, But That Could All Be About To Change With These 122cm X 122cm X 172cm Allotment Corner Style Wooden Raised Beds. these Corner Beds Are Available In 3 Heights 15cm, 30cm And 45cm And Are Ideal For Growing Vegetables, Salads And Herbs. Designed In-house And Made From Pressure Treated Scandinavian Softwood Sourced From Sustainably Managed Forests The Raised Beds Come With A 2 Year Structural Guarantee. 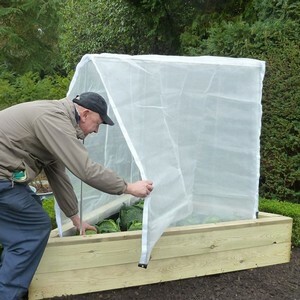 if You Want Reliable Crop Protection For Your Raised Bed Then Try Our Purpose Built Frame Which Comes Complete With Aluminium Tubing, Connectors And A Fitted Insect Mesh Cover Now Only 10! (gdn-977). 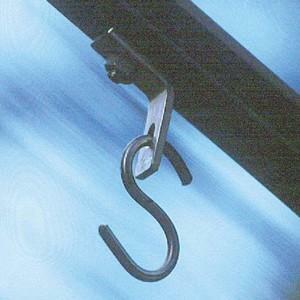 The Cover Has Side Velcro Fastening For Easy Access And A Strong Band Along The Bottom Edge Which Has Eyelets For Securing With Ground Pegs. 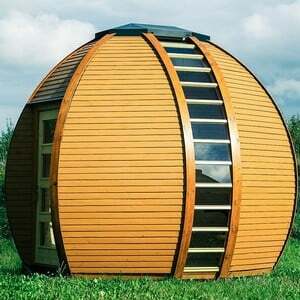 please Note: Timber Is A Natural Product And Susceptible To Shrinkage/swelling, All Sizes Are Therefore Nominal +/- 5mm. Sizes Apply To External Dimensions.each Corner Wooden Raised Bed Measures 122cm X 122cm X 172cmavailable In 3 Working Heights; 15cm, 30cm Or 45cmresearched And Designed In-housemanufactured From Scandinavian Softwood Sourced From Sustainably Managed Forestshigh Pressure Treated With A Non-toxic Preservativestructurally Guaranteed For 2 Yearscomplete With Full Instructionssimple To Assembleoptional Capping Gives The Top Of The Beds An Elegant Finishsupplied As A Kit For Self Assemblywe Strongly Recommend The Use Of An Electric Screwdriver With A Clutch For Assembly And A Pozidrive (pz2) Screwdriver Or Screw Bitinsect Mesh Cover And Frame Also Available For Ultimate Crop Protection – Select Gdn-977 Above (only 10 For The Kit When Purchased With A Corner Raised Bed Normal Price 33.95) standard Corner Raised Beds Superior Corner Raised Beds Also Availablen.b Images Show Raised Beds With Capping. The Harrod Slot And Lock Flat Aluminium Pond Covers Are A Great Way To Protect Your Pond – And Fish- From Herons, Falling Leaves And Other Pond Undesirables And You Can Be Sure These High Quality, Entry Level Covers Will Last For Years.thats Because They Utilise The Rhs Chelsea Flower Show Garden Product Of The Year 2012 Award Winning Slot And Lock Technology To Hold The 16mm Diameter, Corrosion Resistant (always Handy Near Water) Black Powder Coated Aluminium Framework Securely Together, Allowing The 16mm Extruded Polyethylene Mesh Netting – As Used As Standard On The Side Of Our Fruit Cages – To Get On With The Job Of Pond Security.available In Size Options From 1m Up To 3m, The Flat Pond Covers Sit On The Surface Around The Pond. 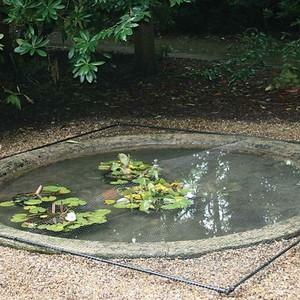 both Lightweight For Easy Access And Durable, The Slot And Lock Pond Covers Will Keep Fish Happy And Herons Glum For Years To Come. please Note That The Harrod Slot And Lock Aluminium Pond Covers Are Not Designed Or Guaranteed To Prevent Children And Pets From Falling Into Ponds.harrod Slot And Lock Flat Aluminium Pond Cover Lays On Pond Edgesavailable In A Range Of Size Options From 1m Up To 3mframework Made From 16mm Diameter, Anti Corrosion Black Powder Coated Aluminum Tubingpond Covers Use Award Winning Slot And Lock Connectorspond Covers Include Tubing, Connectors, Netting And Cable Ties.braces Can Be Bought Separately For Extra Rigidity In The Corners If Needed – Select Gdn-739. lightweight For Easy Accesskeeps Out Herons And Falling Leavesnot Designed Or Guaranteed To Prevent Children And Pets Falling Into Waterraised Aluminium Pond Cover Is Also Available.